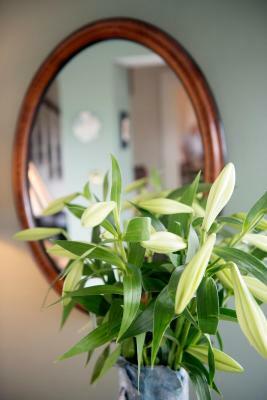 Lock in a great price for Shelleven Guest House - rated 9.4 by recent guests. Very friendly owners and staff. The breakfast was freshly cooked to order and a great start to the day. Overall the accommodation was spotless and the room very comfortable with lots of thoughtful touches such as toiletries, filtered water robe and slippers. Everything about this guesthouse. The location, the beds, fixtures & fittings, complimentary toiletries and the breakfast were exceptional. I stayed here with my wife and my sister, our double room on the ground floor was excellent. The hosts, Paul and Sue,were very welcoming and helpful as were the other staff in the breakfast room. I would not hesitate in recommending the Shelleven to anyone. Room 14 was amazing. Sue made us very welcome and was extremely helpful providing a local map. Location was perfect . Breakfast totally superb. Will def be booking again and would highly recommend to friends. The welcome and care taken, along with really good recommendations of where to eat, etc. The breakfast was excellent. Nothing lacking, well cooked and rapid service. And, Sue & Paul made it a wonderful experience. Everyone very friendly and helpful. The fruit bowl being accessible all day was a lovely bonus. Decor & cleanliness, gave confidence and a sense of freshness. Warm welcome, very clean rooms, good location, quiet, good breakfast. Great location, wonderful staff and of course owners too. Lovely food. Food breakfast was very good and owner was extremely helpful. I would book again. 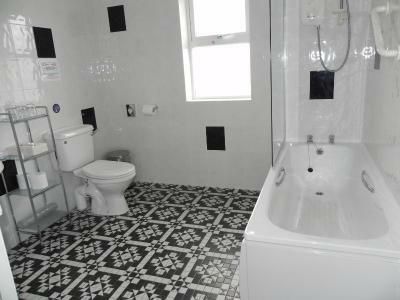 Nice property with comfortable room and en-suite. Owners were friendly and very helpful. A pleasure to stay at this hotel. 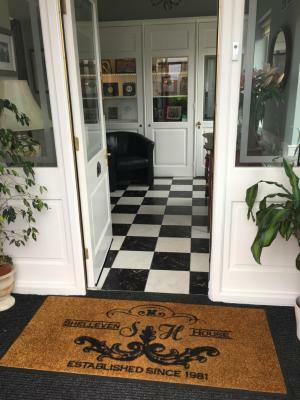 Shelleven Guest House is a Victorian property with great charm and period features throughout, providing luxurious accommodation and dining in a warm relaxed atmosphere. 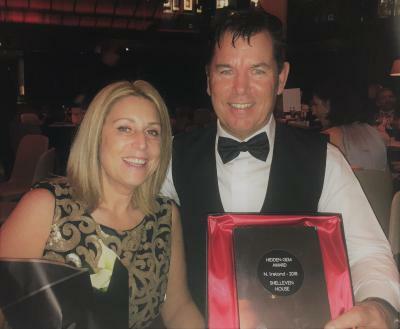 The property was rated as 4-star accommodation by the Northern Ireland Tourist Board. 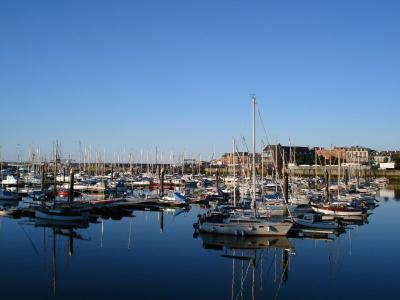 Situated in a quiet area, close to Bangor Marina, the promenade, and the town centre. Shelleven is set back from the road, with gardens and private parking to the front. The front bedrooms have sea views over the bay and beyond. The 13 bedrooms feature a flat-screen TV and an en suite bathroom. Complimentary WiFi is provided throughout the property. The train/bus station is a 5-8 minutes' walk away, with direct links to Dublin and to Belfast city centre and Belfast City Airport. Several golf courses are also nearby. Shelleven Guest House has been welcoming Booking.com guests since 15 Aug 2005. When would you like to stay at Shelleven Guest House? One of these rooms is on the ground floor, with wheelchair access and views of the patio area and courtyard. Features include a flat-screen TV, a hairdryer, filtered water, tea and coffee making facilities and an en-suite bathroom. Some rooms have a view of the garden. 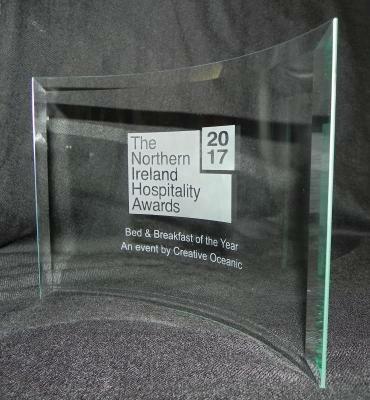 The rooms include a flat-screen TV, a hairdryer, filtered water, tea/coffee making facilities and an en-suite shower room. 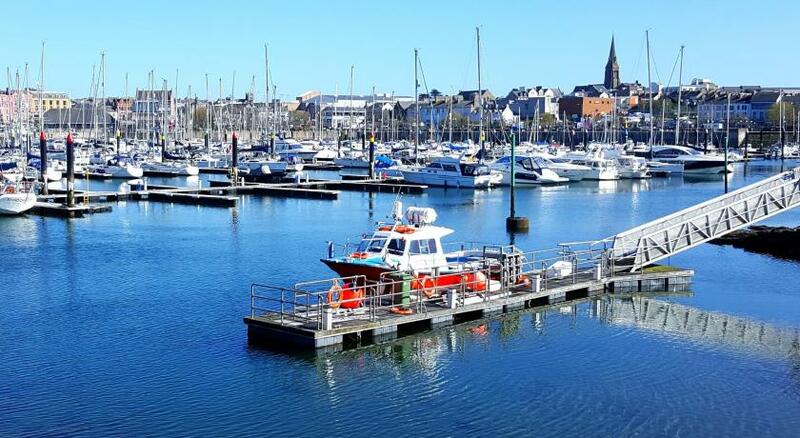 This room has views over Bangor Bay, and an en suite bathroom with a bath and a shower over. Features include a flat-screen TV, a hairdryer, filtered water and tea and coffee making facilities. These double rooms have a garden view or a partial sea view. The features include a flat screen TV, a hairdryer, filtered water, tea and coffee making facilities and an en suite shower room. 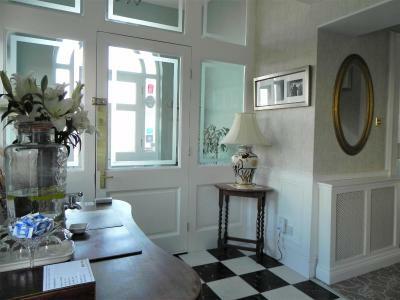 Located to the front of the house, these rooms offer views of Bangor Bay and the Irish sea beyond. They have a flat-screen Smart TV, a hairdryer, filtered water, tea/coffee making facilities and an en suite bathroom. House rules Shelleven Guest House takes special requests - add in the next step! Shelleven Guest House accepts these cards and reserves the right to temporarily hold an amount prior to arrival. Please note that check-in is not possible after 21:30. Please note that housekeeping is not available on Christmas day. Please inform Shelleven Guest House in advance of your expected arrival time. You can use the Special Requests box when booking, or contact the property directly with the contact details provided in your confirmation. I wasn’t disappointed and wouldn’t change anything. However the single room my sister stayed in did not meet her expectations. The heating would not turn off nor would the window allow any fresh air into the room as it opened into a corridor. That aside the bed was very comfortable and the room was very clean. The double room provided 2 dressing gowns but none in the single room?.. The owners. Paul was very helpful in making recommendations, and I especially enjoyed his stories. The location of Shelleven is convenient and pleasant. I would recommend Shelleven, and Bangor as an alternative to staying in Dublin. Shower water temperature was warm to very cool. Need more hot water. If the flow rate could be adjusted the instant heater could handle the proper temperature. Parking, location, walking distance to downtown and harbour, and great hosts and very clean environment all around! Nothing that would stop me choosing this as a place to return next time I am in Bangor. But, would have liked a wider choice of black tea (other than Tetleys) in the room. There were nothing not to like.